Emmanuel Macron will meet Russian president Vladimir Putin at the Versailles palace. Paris: French President Emmanuel Macron will host Russian counterpart Vladimir Putin for talks at the Versailles palace on May 29, the French presidency said on Monday, as the countries look to reset strained relations. The meeting, confirmed by the Kremlin, will coincide with an exhibition celebrating 300 years of Franco-Russian ties since the visit of Russian tsar Peter the Great to France in 1717. The visit comes three weeks after Macron's election and seven months after Putin, 64, cancelled a trip to Paris for the opening of a Russian cathedral complex near the Eiffel Tower in a spat with then president Francois Hollande. 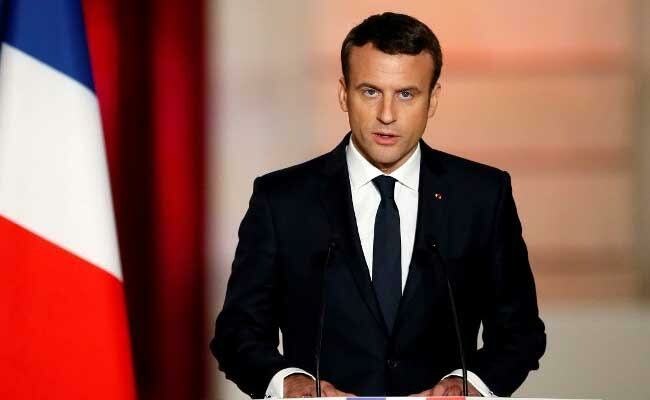 Speaking last Friday, Russia's ambassador to France, Alexander Orlov, said Moscow had a "positive perception" of Macron, 39, describing him as "very intelligent, realistic and pragmatic". Orlov, in an interview with the French business magazine Challenges, said Syria was "the most burning" issue. Macron "seems more determined than Francois Hollande," he said, adding: "We now must go forward in (peace talks in) Geneva where France can play a greater role." He added of the new French president that "with him we're dealing with a real head of state -- brilliant, competent, intelligent." Macron's election campaign was subject to repeated cyberattacks and his aides accused the Kremlin of mounting a "smear campaign" against him. Thousands of emails and documents were dumped online by hackers shortly before midnight on the last day of campaigning and were then relayed by anti-secrecy group WikiLeaks. The Putin-Macron meeting will follow Donald Trump's first trip abroad as US president, with stops in Saudi Arabia and Israel as well as the NATO headquarters in Brussels and a G7 summit in Italy. Orlov told the business leaders that Russian Foreign Minister Sergei Lavrov was convinced after meeting with Trump earlier this month that the US leader wants to normalise relations with Russia. "But the American establishment and media have conducted a hysterical campaign against Trump to prevent him from making steps towards Russia," Orlov said.